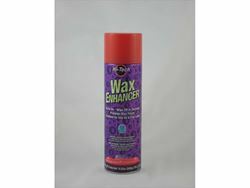 Hi-Tech Wax Enhancer is a blend of cleaners and polymers that puts a quick shine on showroom cars. Just spray on and wipe off. 19oz aerosol can.